Light refreshments included. Add 5% GST. This is an immersive half day workshop + networking event that covers essential crowdfunding education for companies seeking to raise capital from alternative finance crowdfunding markets, investors, and all other parties interested in understanding innovation trends, opportunities and risks, regulations, best practices and expert perspectives for all crowdfunding models including equity, debt/p2p, rewards and fintech markets and transactions. Learn from and interact with active practitioners in crowdfunding markets including platforms (funding portals and dealer-brokers), investors, attorneys, accountants, marketing experts, and hear pitches from new and successful issuers. This workshop is designed for those interested in or actively engaged in the process of raising capital online. What is the role of crowdfunding in the 'venture funding continuum'? What is Fintech and how is is evolving to transform online financial transactions in Canada and around the globe? What do existing financial institutions such as banks think about these emerging trends? What is Alberta BoostR and how does it help Alberta-based businesses? How can rewards crowdfunding fit in the bigger picture of helping an entrepreneur grow, whether a step in capital raising, customer relationships, or product development? What is equity crowdfunding and what are the different regulations in Alberta and the rest of Canada? Overview of Alberta's proposed Startup Business Exemption (multilateral instrument 45-109). With several provinces adopting different crowdfunding regulations, how does that impact us as a company raising capital or investor? Can we raise capital online today from Crowdfunding markets? Overview of Reg A+ Tier I and II - what options are there for Canadian issuers to access capital in cross-border markets? What do the newly adopted Start-up Exemption and Crowdfunding Exemption mean for issuers and investors? Is equity crowdfunding really a new asset class? How should investors evaluate these new markets and investment opportunities? How do I prepare my company for equity crowdfunding? What is the due diligence and on-boarding process for a typical equity platform? How do offers get distributed and what sort of support do funding portals and platforms provide in terms of marketing? What is crowdlending/P2P and what is the current status of the market in Canada? What crowdlending options are available for those seeking to raise capital? How can individuals benefit from crowdlending investment opportunities? How do crowd loans differ from institutional loans for our business? What are the risks involved with a crowdfunding raise and how to avoid them? What are the best practices for planning and budgeting for an online capital raise? On May 14, 2015, six Canadian provinces including British Columbia, Saskatchewan, Manitoba, Quebec, New Brunswick and Nova Scotia adopted multilateral CSA notice 45-316, Startup Crowdfunding and Registration exemption that enables up to $500K to be raised per year over two $250K distributions – this financing tool is active in the market today. On Oct 19, 2015, the Alberta Securities Commission (ASC) and the Nunavut Securities Office published for 60 day comment Proposed Multilateral Instrument 45-109 Prospectus Exemption for Start-up Businesses, which sets out a proposed prospectus exemption to facilitate capital raising by start-up and early stage companies. While the proposal is largely similar to the adopted multilateral CSA notice 45-316 (above), this exemption would allow a start-up or early stage business to raise up to $1,000,000 (lifetime cap) using a streamlined offering document together with a bluntly worded risk warning. Investors would be permitted to invest up to $1,500 in a business or $5,000 with the advice of a registered dealer. On Nov 5, 2015, Manitoba, Ontario, Quebec, New Brunswick and Nova Scotia adopted Multilateral Instrument 45-108 Crowdfunding, which introduces a crowdfunding prospectus exemption for issuers raising up to $1.5M in a twelve month period as well as a registration framework for funding portals. Have issues buying tickets in this widget? Go to Eventbrite directly to register. Craig has amassed over 15+ years of experience as a marketing strategist, software technologist and start-up entrepreneur in technology, finance, manufacturing and real estate sectors. He is a leader, advocate and development professional of interactive web, data, CRM, campaign management, BI and marketing automation and new venture development projects. He is actively involved in developing the Canadian Crowdfunding industry and works with crowdfunding leaders and key stakeholders across the country to develop a vibrant marketplace. He has has spearheaded multiple programs and initiatives such as the inaugural 2015 Canadian Crowdfunding Summit, National Ambassadors outreach program, and NCFA Canada’s advocacy efforts to advance equity-based Crowdfunding regulations in Canada. As Executive Director in the Government of Alberta, Richard leads staff and teams in providing excellence in policy, program, and industry partnership development expertise. In the private sector, he has over 15 years domestic and international executive/senior leadership experience developing enterprises in Canada, Southeast Asia and China. Currently, as Acting, Executive Director, Access to Capital, Economic Development and SMEs Division, his efforts focus on enhancing Alberta's research, innovation, commercialization and venture capital ecosystem to create new opportunities for growth of knowledge based companies and employment in Alberta. Jason Saltzman practices corporate finance and securities law, with an emphasis on securities offerings, mergers and acquisitions, private equity and venture capital transactions, as well as all other aspects of corporate and securities law.Jason works with both established and emerging companies world-wide, primarily in the mining, technology, life science, cleantech (including renewable energy, water tech and ag tech), industrial, mid-tech and digital media and entertainment sectors. He assists issuers, investment dealers, and institutional and private investors on complex equity and debt financing transactions, ranging from start-up investments, venture capital and private equity investments, to larger public offerings and project finance. Sam focuses his practice on the areas of buyouts and recapitalizations, securities transactions, mergers and acquisitions and private equity/emerging companies. His public company transactional experience includes public equity and debt offerings, exchange offers and initial public offerings. Sebastian received his Bachelor of Law degree in 2006 from the University of Manitoba and is currently a member of the Tax Group in the Calgary office. 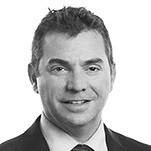 Sebastian’s practice covers a wide range of areas including international tax planning, domestic and cross-border mergers and acquisitions, public and private corporate reorganizations, public offerings for both issuers and underwriters, and dispute resolution between clients and the Canada Revenue Agency. Sean is a change junkie who always thinks something should be easier than it probably is. After a short career in public affairs, Sean went into business. He eventually started and sold his own small business, and went to work helping a national media company grow its digital product offerings in the online and mobile space. Sean is particularly passionate about innovation that helps small business in Alberta, having volunteered with the CYBF and local chambers of commerce, and is currently on the Board of the Alberta Chambers of Commerce. When he grows up, Sean wants to play in the NHL and own his own restaurant. Neetu Sidhu has a diverse background in marketing, social entrepreneurship and startups. She is passionate about design, innovation and making a positive impact. In addition to starting her own company, she has worked with various startups across North America, spanning tech, education and design. She currently leads Alberta BoostR, a rewards-based crowdfunding platform from ATB Financial, designed for both emerging and established Alberta entrepreneurs. Beyond providing an online channel for entrepreneurs to raise funds, get marketing/exposure, insights/feedback and build a crowd, Alberta BoostR also provides crowdfunding coaching, promotes businesses through ATB channels and holds live pitch events. Bret is Chief Evangelist of CrowdfundSuite, a Consultancy for Alternative Finance Services. Crowdfundsuite helps platforms, funders, broker/dealers, real estate developers, service providers and entrepreneurs profit from the Crowd Economy via strategy, platform development, partnerships, capital raising, marketing and distribution. A visionary in alternative funding, Bret has helped raised over $40M for clients, started Canada’s first crowdfunding platform in 2008 and then helped FundRazr become a top 10 global platform. Bret is an Ambassador to NCFA Canada and blogger for Investopedia, Techvibes, IT Business and CrowdfundInsider. Tabitha Creighton is CEO and co-founder of InvestNextDoor, a Crowdlending marketplace for small business; where crowdfunding creates returns for local investors supporting local businesses. She brings 18 years of experience to the role, much of it working with small businesses and financial technology. Crowdfunding and alternative finance models for small business are areas that Tabitha has focused much of her recent career, as she sees these as creating a new model of capital access that is sorely needed. Tabitha’s focus has been on developing models of business growth for firms of all sizes, utilizing technology to eliminate barriers and create new ways of solving old problems. In these roles she spent several years at Microsoft advising large and small corporations on how to make technology a strategic part of their business model. R Stewart Thompson (Randy) is a builder of companies, angel investor and leader of one of Canada’s most active angel group. He is currently invested in twenty two companies and has been working in the startup venture space for 20+ years. Randy is the Founder and CEO of VA Angels, which has led him to be named Angel of the Year in Canada by Startup Canada 2014. VA Angels recently celebrated their 125thth company funded for over $38M in total investments which includes deals in the US, UK and Africa. Randy has also launched two funds, which included Acheson Mobile Investments a 38% IRR in Year 1. As an entrepreneur he has been the founder or founding partner in four entities, and is currently building GenerUS Marketing Solutions, a platform for not-for-profits to raise money. Early in his career he founded Alberta SuperNet and worked as a venture capital advisor to the Province of Alberta. Randy currently works internationally with companies in Puerto Rico and the UK. Arti Modi is the visionary CEO of LendingArch, a disruptive FinTech lending platform produced with proprietary algorithms and future-ready technology. Based in Calgary and with offices in Los Angeles and Stockholm, Arti created LendingArch after feeling frustrated with the current financial eco-system and seeing financially savvy borrowers being marginalized and overlooked by traditional banks. She leads a team of global entrepreneurs, data scientists, credit managers, investment leaders, millennials FinTexperts, creatives and developers who together built a platform that is so streetwise, it limits the banks involvement and accomplishes results for the consumer in a fraction of the time. Recently listed as one of Alberta's Need to Know people, Arti is also Co-Founder of OmniArch, a contemporary investment firm managing over 5000 Canadian investors and over $400 million in portfolio assets. ​Arti is passionate about fostering financial health management for younger generations and has a dedicated innovation team creating tools and resources​ that will help facilitate education, and at the same time, make finance fun for younger generations and their parents. Bev’s role at Business Link is to create awareness, build strategic alliances and ensure entrepreneurs have access to the resources necessary to kick start their new business venture. Drawing upon her experience in her own business, government and education, she’s our key connection for Calgary and all of southern Alberta. When Bev is away from the office, she can be found on her Harley, hanging out at the family cabin and spoiling her grandson. Marty is the president of Quidni Estate Winery and chief consultant for Gunderson and Associations, where he provides advisory services in the exempt market finance industry in Canada. The emphasis of his practice is providing guidance on creating marketable investment structures, securing distribution and ongoing investor relations. With numerous successful financings to his credit, Marty has and continues to work with excellent companies interested in raising capital. Mr. Gunderson has been in the financial services industry for 17 years, and has successful facilitated numerous of large financings in real estate, oil / gas service companies, apartment buildings, and mining He has built a robust network of exempt market dealers, representatives and professional services in the exempt market. Sandi is strategic, visionary entrepreneur focused on developing and deploying technology solutions for the private capital markets. She is the Founder of SeedUps Canada, Canada's first crowdfund investing platform that brings ordinary and sophisticated investors together to invest in early stage companies. Investors can browse deals and execute their investment on-line. She calls it Dragons' Den and e*Trade combined. She is also the COO of OfferingPoint, a technology platform that streamlines the capital raising process for all participants. Investors access an "invitation only" dealroom where they can review deal terms, verify their qualification to invest and execute share purchase agreements. The technology is used by issuers, lawyers, angels and brokers who can monitor the progress of the private placement in real time. Charity Callahan has over 25 years of experience, with the last 10 years in senior roles as a seasoned entrepreneur and business systems professional. She has lead business development, marketing, product management, operations, distribution, technology, supply chain, new product introduction and quality management functional areas. As a partner in C4Skunkworks, she works with entrepreneurs from concept to exit to get ready to raise capital and use the proceeds to optimize growth. She has worked in the following industries: Technology, Oil & Gas, Food, Distribution, Beverage, Chemical, Laboratory, Electronics, Information Systems, Graphics, Paper and Paper Packaging, Lumber, Co-Manufacturing, Co-packing, Services, and Aviation – Private and Durable Consumer Products. Prior to joining Market Gravity, Iain spent nearly a year travelling in Latin America and making a start on learning Spanish. Before then he was a consultant working on Commercial Due Diligence for Private Equity deals across multiple sectors including construction, energy and education as well as major strategy projects in the travel and support services spaces. Darren provides a broad range of tax services and has worked with multinational and private companies for more than 14 years. He has experience in Canadian corporate and cross-border tax issues, including general Canadian corporate income tax advice, corporate reorganizations, structuring and financing inbound and outbound investments, international tax planning, tax compliance, tax accounting, and advising on Scientific Research and Experimental Development (SR&ED) tax credits and other tax credit claims. Darren has also provided a broad range of tax services to corporations in the technology industry, with an emphasis on software companies. He has supported many emerging Canadian technology companies navigate through tax issues specific to emerging companies including SR&ED tax credits, Ontario interactive digital media tax credits, tax issues arising out of online commerce and structuring the ownership of intellectual property. Darren's also has experience dealing with the international and cross border issues of expanding outside of Canada, Canadian and international tax planning, estate planning for shareholders and income tax accounting. Bruce has over 24 years of SR&ED experience both with CRA and in public practice. Bruce provides tax planning, structuring and innovative SR&ED solutions to a wide range of client. Bruce has worked with hundreds of small private companies helping them maximize their potential SR&ED refunds through his innovative solutions. Bruce has authored papers for the Canadian Tax Foundation as well as has presented at the Canadian Petroleum Tax Society, the World Heavy Oil Congress and the Canadian Prairie Tax Conference. Denise’s background includes acting as General Counsel to an oil sands company which engaged in a series of small private placements, a venture capitalist financing and the creation of a partnership with a Chinese national oil company which was then followed by a $60 million private placement and a $325 million IPO and listing on the TSX. Denise has also worked as General Counsel at the ASC and prior to that as Manager, Corporate Finance Policy and Listings Officer at CDNX, the predecessor to the TSX Venture Exchange, where she both reviewed business plans, financial statements and other required disclosure of junior companies seeking to list on the exchange and was responsible for developing the comprehensive corporate finance rules applicable to both listed companies and those seeking to list. Prior to that, Denise practised corporate and securities law in Calgary and Vancouver, acting for both senior and junior companies and their underwriters in connection with various public and private financings, mergers and acquisitions. Jessie is responsible for leading the ASC’s development of the Start-up Business exemption and, in that regard, has reviewed and considered both the Start-up Crowdfunding exemption adopted in certain other jurisdictions and proposed MI 45-108 Crowdfunding, proposed in certain other jurisdictions. In addition, Jessie handles various applications for exemptive relief and is the ASC lead on a committee comprising staff from securities regulators across Canada, charged with expanding the “passport” system, a system under which market participants can obtain a decision from one securities regulator and have it automatically apply in all other jurisdictions of Canada. Before joining the ASC, Jessie practised corporate and securities law with an international oil and gas company as well as with a Calgary law firm. Thomas Mo has been in sales for almost his entire life. While being very successful in some ventures, and mediocre in others, he’s always knew that running his own show would be the end goal. Having worked in retail, fundraising, Xerox, print services, SAAS environments and Autodesk resellers, Thomas has a diverse background and network to integrate with when it comes to business advise, entrepreneurs, and investing. The idea behind Alberta Apparel was to fulfill a need and idea that didn’t exist in the market yet within Alberta. Thomas has recently been working hard setting up Alberta Apparel and learning on the way through other people, trial and failure, and research. Check out Alberta Apparel's crowdfunding campaign here. Paige K Boudreau is a writer / producer / director with Memento Pimento Pictures and a co-owner at Escape Capers YYC, Alberta’s only hosted escape room experience. She and her husband (Escape Capers founder, Eric Boudreau) have combined their backgrounds in the film industry with a lifetime of gaming, to create a real life adventure where groups of people have to escape a mysterious locked room. Paige enjoys exploring abandoned places and writes in her spare time. She is originally from Calgary, Alberta. Check out Escape Capers YYC's crowdfunding campaign here. Andrew is a co-founder and currently CEO of TikTiks, an app based market place where sports fans can Buy and Sell hockey tickets with each other securely from their phone. He previously held the positions of VP Operations and Development Director for Startup Calgary. While completing the BBA at Mount Royal University, he ran a successful student painting franchise and held the Entrepreneur in Residence Position at the Institute for Innovation and Entrepreneurship. Andrew is passionately curious and always looking for opportunities to create value in the communities he belongs to. Check out TikTiks' crowdfunding campaign here. Early bird registration for CCS2016 Now Open (save 37%)! Win a FREE ticket to the Calgary Crowdfunding Bootcamp! Here's your chance to attend the Calgary Crowdfunding Bootcamp: Learn Everything on Dec. 3 for free! We're giving away a limited number of free tickets to qualifying entrepreneurs, startups and small businesses. Be sure to tag @NCFACanada in your post!